This is a seriously sweet family romance. Set in a small town, it is the story of a single dad who falls for his daughter’s first grade teacher. Kyle’s attraction to Adam is complicated by the fact that he and his daughter are still grieving the loss of her mother and by Kyle’s struggle to readjust to life back in his hometown after years away in Seattle. There are a couple of steamy scenes in this book, but it is mostly a family drama. Kyle’s life revolves around six-year-old Caroline and they live with his father. I’m not a huge fan of domestic small-town romances and there were a few too many cute kid moments for me in this one. I really liked the fact that sexuality was a non-issue for all the characters in this story. There is no closeted angst here – just two men struggling to figure out how to make a relationship work. The story only just touches on Adam’s baggage and the reason for his move to a small town elementary school. I think I might have understood his reservations about Kyle more if I’d known more about his background from the start. As it is, these two guys have pretty rubbish communication skills. I understood Kyle’s skittishness, but Adam just seemed to run hot and cold. 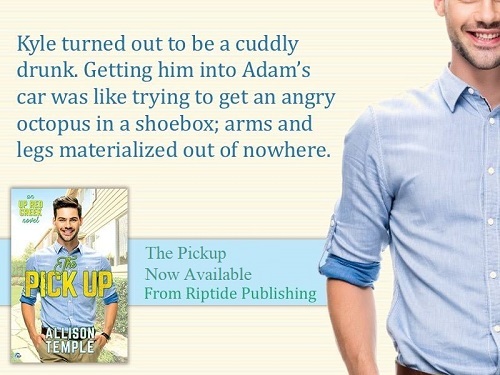 This is a little bit too cute for me but I’m sure other readers will enjoy the often adorable scenes of domestic bliss and the connection between two sweet men. Allison has been writing since the second grade, when she wrote a short story about a girl and her horse. Her grandmother typed it out for her and said she’d never seen so many quotation marks from a seven-year-old before. Allison’s fascination with the way characters speak and communicate with each other in novels has not diminished in the ensuing thirtyish years. Allison came late to reading and writing romance novels. She didn’t read her first one until she was twenty-six years old, but it has been a landslide since then. She loves LGBT romance for the stories it tells and the characters it brings to life. She is very excited to be joining the circle of passionate and talented authors in the genre, and credits Heidi Cullinan and Marie Sexton for introducing her to it. 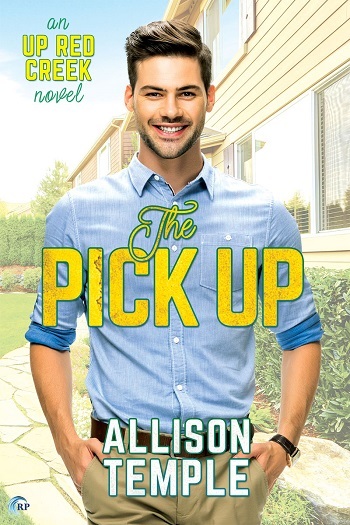 Reviewers on the Wicked Reads Review Team were provided a free copy of The Pick Up (Up Red Creek #1) by Allison Temple to read and review.